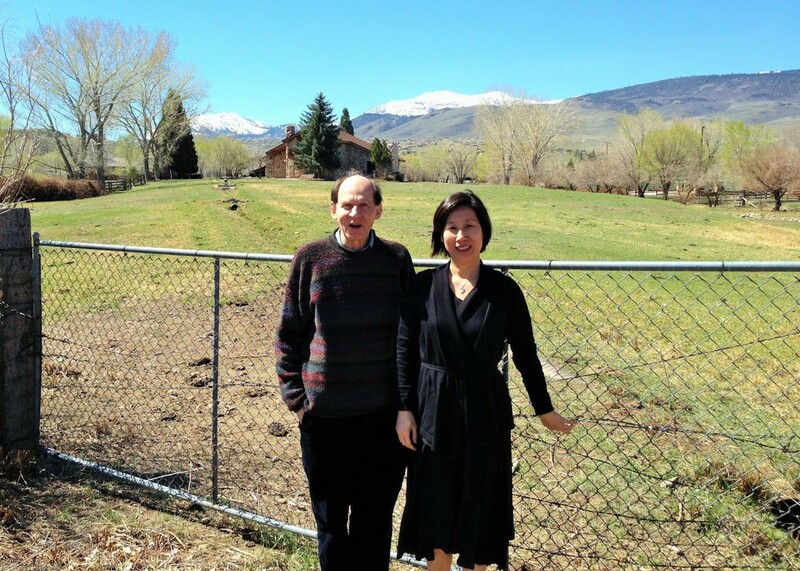 Caption: Godehard Guenther, head of the American sound system R&D firm Soundmatters, first met Emma Yu 20 years ago. After Guenther, a former NASA scientist, died in 2014, Yu took over his job as CEO. Guenther, who had a passion for the audio technology, established Soundmatters in 1998 to establish one of the industry’s flagship surround systems. In 2008 it released a pocket-sized Bluetooth stereo speaker, which ranked then on Time magazine’s Top Ten Gadgets list. Yu was also interested in music, as well as electronic engineering. She was working for the Taiwanese acoustics company Eastech 20 years ago and asked to visit the company’s partners around the world. Guenther was among the partners. She told her story to Business Next. “You’re the only one who tells the truth,” Guenther said. The speaker, it turned out, was missing a magnet because its manufacturer had changed the structure to cut costs. Other people had told Guenther it sounded OK.
Yu and Guenther set aside the initial agenda for their meeting and talked instead about music and speakers. After several follow-up encounters in Taiwan, Guenther asked Yu to join Soundmatters. Despite the faulty speaker, Yu regarded Guenther as an idol because of his overall contribution to acoustics development. She eagerly accepted the job as a sourcing and materials development manager in Asia. “I appreciated him so much. It’s hard for us to meet a good boss, a good friend and a person you can learn from for an entire life,” she said in the interview with Business Next. u had previously founded another acoustics firm, SOMA Acoustic. She had earned an MBA degree from Tulane University Business School in the United States and a bachelor’s degree in electronic engineering from National Taipei University of Technology. Guenther, inspired by NASA, insisted on perfection and doing new things. Because of that persistence, Soundmatters created pioneering in-wall speakers, hi-fi television speakers and the pocket-sized Bluetooth stereo speaker. But since a mid-size company as Soundmatters lacks the investment in R&D that you might find at NASA, Yu often had to balance Guenther’s persistence with the harder reality of the company budget. Once the company was researching a speaker diaphragm, the part that converts mechanical vibrations to sounds, and wanted material with more density than aluminum. Carbon fiber worked but was harder to control and fit at a very slim thickness of 0.2 millimeters thick. To make carbon fiber fit, Guenther quickly invested in an injection molding machine for US$270,000, a price eight times higher than that of a normal model. Without the machine, he thought, the job simply would not get done. It was around than that Guenther learned he was in the last phase of gastric cancer. The man who was born in Germany in 1939 died in October 2014. He had already picked Yu to succeed him. Soundmatters pursues development of technology and gets patents for its discoveries. Contractors such as Logitech, Jawbone and IGT make and sell actual speakers. The 17-people Soundmatters staff, who come from across Europe, the U.S. and Asia, follows three tenets of the NASA work culture to succeed, Yu said. One, the employees do their work on time. When a rocket is ready to launch, no one would have the reason to let it wait, Yu said. Second thing, there’s no limit on budgets. Like NASA, the nonprofit space agency of the U.S. government, Soundmatters invests any would-be profit into its next technology. The company is still working in this direction. The third principle: Don’t sacrifice an old friend. Partners of Soundmatters include the hardware brands Logitech, IGT as well as the contract manufacturers Foxconn Technology, Foxlink and Wistron of Taiwan. Soundmatters normally works with contractors and outside vendors to sell and market its speakers. Soundmatters was once helping Jawbone create a thin and portable Bluetooth speaker called Jambox. Jawbone’s rivals asked around that time to work with Soundmatters on competing speakers, but Soundmatters turned down their offers to keep up relations with Jawbone. The global portable Bluetooth speakers market is expected to reach more than US$8.5 billion in revenues by 2025, up from US$4 billion in 2017, according to a report published by Persistence Market Research. Increasing numbers of subscribers to music streaming services, compatibility of Bluetooth speakers with multiple smart devices and popularity of advanced audio technology are anticipated to drive the market growth, the report says. The market research firm expects Latin America to drive much of that growth due to more use of smartphones. In the short term, Soundmatters will focus on work that Guenther hadn’t finished and keep seeking breakthroughs in the acoustics industry. In 2014, for instance, Yu accidently discovered the relationship between sound frequency and pain. She’s considering now how to combine frequency with medical care for use in healthcare. “To think back, working with him had been much more fun,” Yu said. But rather than spending freely, Yu is learning to accept staged perfection.